For any company that is related to rent, the rental automation is essential. Without automation, it is very difficult to keep a record of the lease, rent accounting, calculate the amount to pay for rent, view the timely return, and create a black list of unreliable clients. After the automation, all these will be easy. Our car rental management software will easily automate your organization! Rental management will allow you to conduct rental accounting and rental control. Car rental software requires you to enter your personal username and password. Only after that you’ll be able to work in the program. Moreover, each username has its own role in the program. Roles determines the rights in the rent management system. Using these roles each employee sees the information that is related only to his zone of powers. For example, other employees won’t get the access to financial and analytical reports that are related only to the head of the organization. Also, rent management software has a special module that tracks the history of changes and deletions in the program (marks who, when and what did in the program). Nothing will disappear from our rental accounting software without a trace. You record all the clients in the database. Using this database, you can find any information on the client immediately. You also can specify the status of the customer. Is he conscientious or blacklisted? Rental management is conducted in a special module. In this module you can register rent. Here you can specify the date and time, which client (you choose the client from a single client database), for what term thing have been rented. In a separate list you can specify the things that were rented, their amount and stock number. Immediately after completion of all data, you can print out an Inventory and Schedule of Condition or Redelivery Report. All the documents the rental software forms itself. After the documents were generated, they can be printed or exported to Excel, Word, or image file. You can attach different documents to this record. It is convenient, because all information and related documents are gathered in one particular place. You don’t need to spend a lot of time to find them. All payments are also recorded in that module on a separate tab. Moreover, our rental program allows you to keep a detailed stock accounting. Place in property, write off goods, make an inventory. 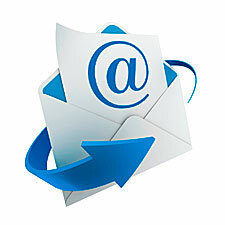 Rental soft has the functionality to send messages via SMS and E-mail mailing. You can mail easily, the only thing you need is to form a list of clients in a special report, create an email or messages and send them. The program allows you to create templates in advance, so you don't have to type a message all over again. You need to choose an appropriate template for sending. The program offers a set of detailed reports on the activities of the company for the head of the organization. Reports enable you to get the details of the movements in the company's finances, find out on what, where, and how much money goes. You can easily assess the work of your employees to find out who is the most effective. Special reports will show you the situation on the stock. You can print every report easily or export in Excel or Word. With the help of our automation software you'll be able to organize the work of your company! Car rental software groups data according to various criteria. Accounting for leased premises, both by area and by their number. The rental management software allows you to monitor the status of rented equipment. Rental software tracks payments on leased items. Rental management software also has a stock inventory control. Car rental management software tracks the revenue per vehicle. It is possible to book any kind of inventory in the rent management software for the subsequent renting. You can download a free demo-version of the rent management software from this page. The software for rental control is needed for the proper accounting of all items. The software for rent accounting has the ability to track rented technics by objects. Computer rental program combines the complete comprehensive financial accounting. The rent management system can be designed to your personal wishes and requirements. The software for rental accounting has a single database of contractors, services and equipment available. With the help of the software for rental accounting you can track debtors. You can account profit in the software for car rental management. Rental soft forms all the necessary documents and statements automatically. Car rental software has a user-friendly interface. This software for rental management is very easy to use. There is plenty of additional functions in the rental software.